I am A Backer: *Update TrackR bravo The Thinnest Item-Tracking Device Ever. *Update TrackR bravo The Thinnest Item-Tracking Device Ever. Pledge for any perk that gives you a Trackr Bravo with this link http://igg.me/at/TrackRbravo/x/6977583 after you back them with that link you will recive a link of your own, share your link with your friends and if they back Trackr Bravo you will get an aditional Trackr Bravo free for reach friend you refer that pledges for a Trackr Bravo! Bluetooth tracking tags are all the rage right now, there are at least 10-15 projects from different people. TrackR bravo stands out with a few key features, an aluminum body(great for strength and durability), incredibly thin, and the most important feature Crowd GPS Network("Because the TrackR app is built to track any Bluetooth device or Bluetooth tracker device, it's no surprise we have the world's largest Crowd GPS network. "). The Crowd GPS alone is an amazing feature and will almost guarantee your TrackR bravo is always broadcasting its location and is found. If you would like to back them please use this link. Update I have heard that they had a few problems with their first product, however I hope that they have worked out all of the kinks prior to launching this new campaign. I have recently updated my pledge to a 10 pack and I will post a reivew once I get them in. If you would like to pledge please use this link http://igg.me/at/TrackRbravo/x/6977583 and share it with your friends. Isn't it such a bummer when you lose your keys or wallet? Every time I lose something, I spend 20 minutes looking for my keys only to find them hiding in the most obvious place, possible - usually in yesterday's jeans or under the couch cushion. That's why we invented TrackR, a simple way to keep track of items using your smartphone. After 5 years of R&D, thousands of customer feature suggestions, and 5 product revisions, we are proud to reveal TrackR bravo to the world. TrackR bravo is the slimmest and most elegant item tracking device ever created backed by the world's largest Crowd GPS network. With the TrackR app for iPhone and Android, you can quickly locate items around the home using the distance indicator radar or tap the "Ring Device" button to cause your lost item to ring. Can't Find Your Phone? No Problem. Many phones have been eaten by couch cushions. Press the button on TrackR bravo to cause your phone to ring...and it works even on silent mode. If an item goes missing, TrackR's Crowd GPS network will help you find it. When another user of the TrackR app comes within 100ft range of your lost item, you will receive a GPS update of where your item is. Because the TrackR app is built to track any Bluetooth device or Bluetooth tracker device, it's no surprise we have the world's largest Crowd GPS network. We took a different approach with TrackR bravo. We focused on making sure we used the best techniques and materials to create the thinnest tracking device ever. Coin sized. 3.5mm x 31mm diameter. Metal construction. And feature packed. Have each TrackR bravo individually laser etched to display a short message. Have your return information etched into the back, add a nice message for a gift, or use TrackR bravo as a replacement for your cat or dog's name tag. When Chris and Christian first came up with the idea of TrackR, they envisioned transferring the entire "database of items in our head" to our phones, just like your phonebook (remember how you used to know your best friend's phone number?). The TrackR app is focused on achieving that vision so you let the app keep track of your items for you. With the app design, we tried to simplify the entire user interface by enabling users to access core functions as quickly as possible. If you have any feature requests or feedback, we would love to hear them: support@phonehalo.com. Compatible with iPhone 4s & later, iPad 3rd Generation & later, and Android 4.4 devices with Bluetooth 4.0. Device Compatibility: iPhone 4s & later, iPad 3rd Generation & later, and Android devices with 4.4 or above. Now that you've learned about TrackR bravo, we'd like to take a moment to introduce the minds behind TrackR. TrackR bravo was developed by TrackR, a Santa Barbara, CA-based startup company. The company was founded by Chris Herbert and Christian Smith, two UC Santa Barbara graduates who met during their college years. The idea for TrackR began when Chris almost lost his car to the Pacific Ocean because he couldn't find his keys, ultimately redefining the definition of beach side parking. After brainstorming a solution, Chris and Christian entered into the UC Santa Barbara business plan competition and won. They began working on TrackR the same day they graduated in 2009 and launched the world's first next generation tracking device, Phone Halo, at Demo 2010. Since that time, several revisions of Phone Halo have been released including Cobra Tag, inSite, Wallet TrackR and StickR TrackR. Each better than the last. Over a quarter of a million devices later, the team is proud to announce Track bravo and represents the original vision for the company of taking the database of items in your head and moving that to your phone. This is our 6th item tracking product and we already have trusted & very capable manufacturing partners. This isn't our first rodeo but things seem to always come up and will be providing regular updates every 3 weeks to backers. You've heard from us and now we'd love to hear from you. Please let us know if you have any questions, comments or suggestions! Please note that our team will try as hard as possible to answer any and all questions and comments that are left on the comments page but the easiest way to get immediate assistance is to email our Support Team,Support@PhoneHalo.com. Don't forget to like and follow us for the latest information on all things TrackR bravo! Please email kellie@phonehalo.com for more information. How big is TrackR bravo? We designed TrackR bravo to be so small that it can be attached discretely to virtually anything. It’s only 31mm diameter and 3.5mm height – about 50% thinner than previous designs. How many TrackR bravo devices can a smartphone find? Using the TrackR app, a smartphone can manage up to 10 TrackR bravo devices at once on iOS. Android this number varies from 1-10. How do I replace the battery in my TrackR bravo? TrackR bravo has a suicide battery door that swings open, making battery replacement easier than ever. Uses a CR1616 battery. What is the range of TrackR bravo? TrackR bravo's range is approximately 100 feet (30 meters). How does TrackR bravo attach to items? The back of TrackR bravo can be stuck to almost any surface. The device also has a convenient loop that can also attach to keychains. How is TrackR bravo different from other finder products? 1) Two-Way Technology: Find your item using your phone or find your phone using your StickR TrackR Device. 2) Thinnest Device Available: TrackR bravo is nearly 50% thinner than previous designs. 4) Separation Alarm: Notifies you when leaving an item behind as well as remembers where you left the item on a GPS map. 5) Sustainability: The device is meant to last a lifetime and has replaceable batteries. 6) Being really, really, really, ridiculously good looking. Can I use your product with other BLE Tracking devices? Absolutely! Our TrackR app can work with other BLE tracking devices, Bluetooth cars, headsets and more! What's your plan for Android support? We're one of the first to develop on Android using the Bluetooth Low Energy API's. As an early adopter of BLE technology on Android, we're dedicated to improving the platform and providing a world class Android app. Android is supported at launch. Is the device water resistant? The device will last through rain but isn't waterproof, so don't go swimming with your TrackR bravo device. Oops! I forgot to add international shipping! What should I do? Please contribute the shipping amount ($10) and select no perk. We will match your contributions. Please contribute the difference and select no perk. 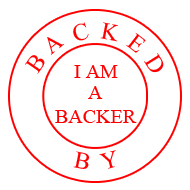 We will match up your contribution to the correct perk and will confirm after the campaign. Is this iOS 8 Compatible? Yes, it is compatible from iOS 7 & on. I know Chris. How much were you paid for this? This was posted for free, not sponsored, if we have a sponsored post we clearly label them.